In England, we are used to seeing a range of white wines from Sauvignon Blanc, to Pinot Grigio, Chablis, Chenin Blanc and even a few Rieslings on the wine shelves of supermarkets. We are not so used to seeing Bacchus. But Bacchus is big news in England. The grape is named, rather appropriately, after the Roman god of agriculture, wine and fertility and it was created in Germany in 1933. It is hybrid grape – viticulturalist Peter Morio took a Silvaner and Riesling cross and crossed this with Müller-Thurgau. In Germany, its popularity is declining. In 1985, 3.6 per cent of all German vineyards were planted with the Bacchus grape. Today, it is found in only 1.7 per cent1. In England, however, Bacchus grapes are growing in quantity and in popularity. In 2017, Bacchus made up 8 per cent of the UK’s vineyard area, with more and more grapes being grown each year2. 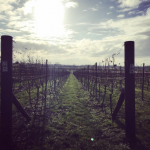 The grape is ideally suited to our climate and many English vineyards produce wine from these grapes. 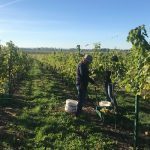 Our own Bacchus harvest this year saw the yield increase from about 2 tonnes in 2017 to just over 9.6 tonnes.  And English Bacchus wines are also growing in popularity on the world stage, winning awards in international and national competitions. Indeed, our own Poulton Hill Estate Bacchus 2016 was named Cotswold Life Magazine’s Drink Product of the Year this year, and our 2017 Bacchus won a silver medal in the South West Vineyards Association awards. 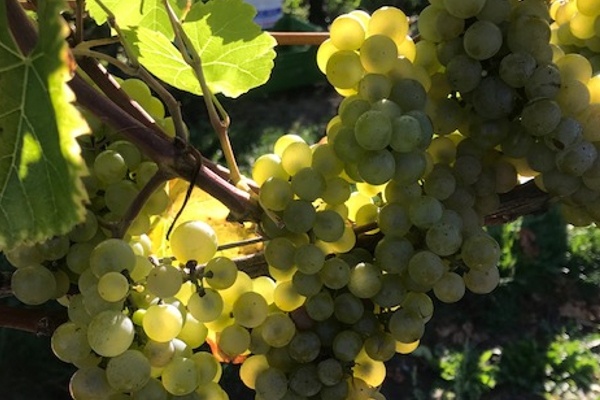 Bacchus has been called “England’s Sauvignon Blanc”, with some believing that Bacchus could do for the UK wine industry what Sauvignon Blanc did for New Zealand. Our Bacchus may well even appeal to Sauvignon Blanc fans, with its notes of elderflower and peach on the nose, grapefruit at the forefront of the palate with hints of lychee giving it a long, clean, crisp finish. 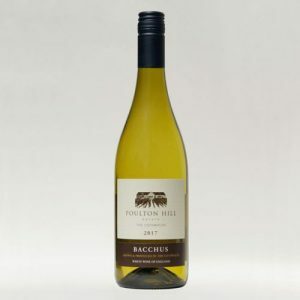 Although you may not find it in the supermarket, you can buy the Poulton Hill Estate Bacchus from our Cellar Door, online via the website or in a number of restaurants and shops locally, which are listed on our Where To Buy page.